Everybody all aboard! 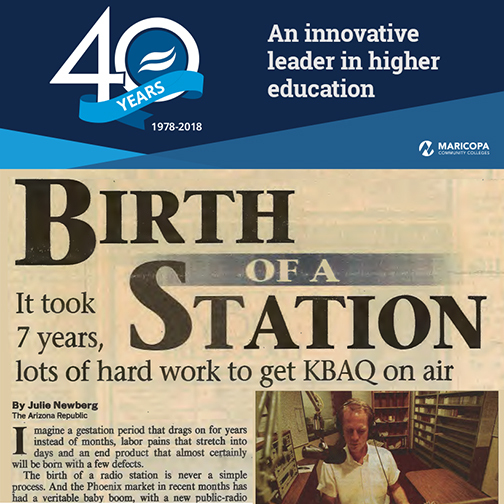 We’re resuming our 40th Anniversary Throwback Thursday journey with a look back at 1991-1993. 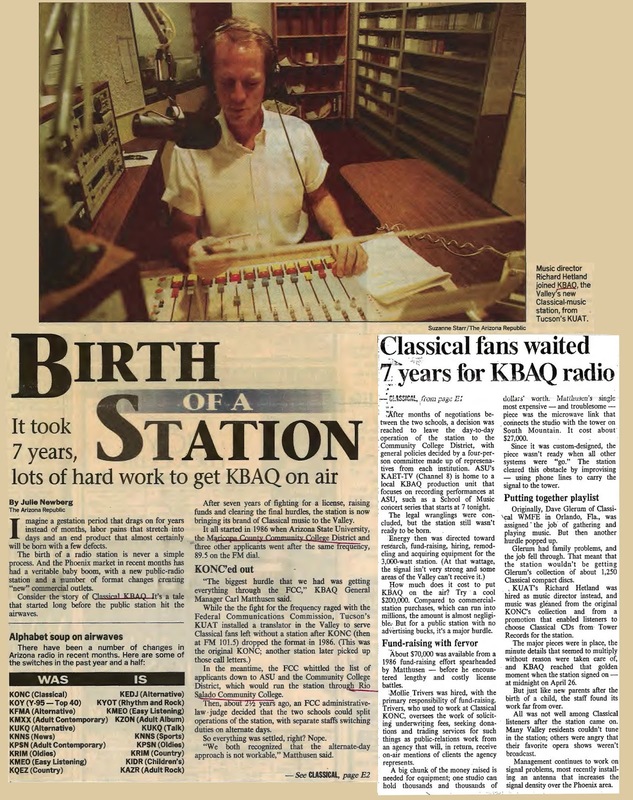 This 1993 Arizona Republic story by reporter Julie Newberg announces the long-awaited arrival of Classical KBAQ 89.5 FM, a member-supported community service of Rio Salado, licensed to the Maricopa Community Colleges. 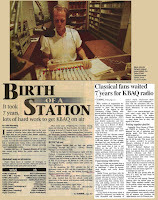 (Click on image to see full article). Here’s a look at other historical achievements from this time.